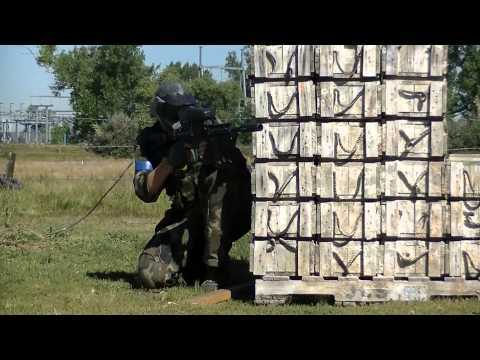 Home of Denver’s best paintball, laser tag and airsoft fields! Whether you are looking to play paintball, laser tag, or airsoft, you have found the right place! 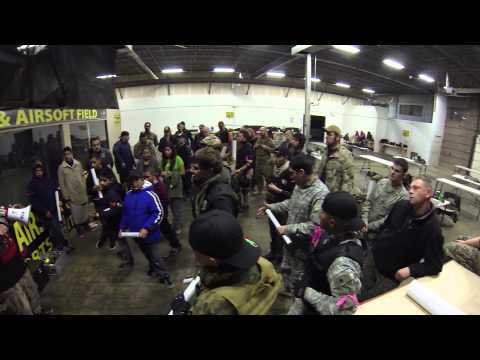 Our Denver facility features over 26,000 square feet of playing space for indoor paintball, a 15,000 square foot themed indoor field for airsoft and laser tag, virtual reality and more. Our outdoor fields feature over 65 acres across 13 fields for paintball and airsoft group play and special events. 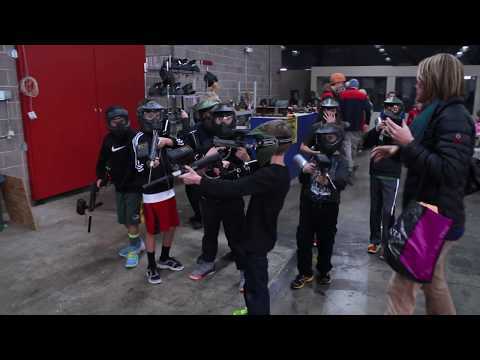 American Paintball Coliseum helps host birthday parties and office team building events that are sure to provide a positive experience with lasting memories. Think outside the norm and host a group event that is filled with fun! Our indoor and outdoor fields have fun activities for people of all ages and skill levels. We offer both indoor and outdoor paintball fields! Our indoor location hosts a concession stand selling a large variety of snacks, drinks, pizza and much more! We feature 13 playing fields on 65 acres making this the largest paintball and airsoft field in the Mid West!! So, what are you waiting for? Book a reservation for you and your friends or a large group event today! APC Paintball has hosted many birthday parties and company events at both our indoor paintball fields and our outdoor paintball fields. We have experience handling hundreds of players at a time and can assure the safety of your party throughout your paintball experience. APC also offers laser tag parties for kids 9 and under as well as airsoft parties for those who prefer not to feel the sting of paintball play. During kid’s birthday parties we have an assigned team leader who can suggest and monitor games or it can be a free-play style, whatever suits your group. Also available for birthday parties are food, drinks, and private party rooms. If you are thinking about booking a company party or team building event make sure to check out our corporate events page for a discounts and registration information for your entire group! Join our mailing list to stay up to date with APC news, special events AND get discounts on your next visit! “I am old, haha, 54 yrs, but had an absolute blast playing laser tag with my 30 something year old son and 10 year old granddaughter. Will go again when I go back to Denver to visit. Employees were extremely helpful and let me use the discount even though I did not make my reservation online. …We played for four hours multiple games and Bass the field referee was extremely helpful. I will definitely go back. next time we are going to the outdoor field they also run, looking forward to that one. VR has taken gaming to another level. In an instant you can be transported to China, fighting in World War II, flying in space, or walking the ocean floor. If you have never experienced high quality VR gaming before, you will be amazed! If you have, you will love our HTC Vive VR arcade! Immersive virtual reality games engage all of your senses so much that you will find yourself sweating after hand to hand combat and trembling when a dinosaur comes so close you’ll swear you can smell his bad breath. APC’s VR arcade booth has a variety of games that are appropriate for every age and skill level. If you are a first timer or an avid player, come try out our VR arcade and get the rush of an immersive video gaming experience. Then you can go take your new tactics to the paintball or airsoft fields for a try.